For 80s kids, Voltron is nostalgia defined. We remember the best parts of it, with our imagination filling in the messy gaps. The original Voltron was, in a word, a mutant. Like the weird kind that lived underground in Futurama, not the cool kind that had sweet powers like in X-Men. It was cut together from two anime: Beast King GoLion and Armored Fleet Dairugger XV. It was also heavily censored to hide things like dismemberment and the erasure of the entire human race from the sensitive eyes of us early-80s kids. 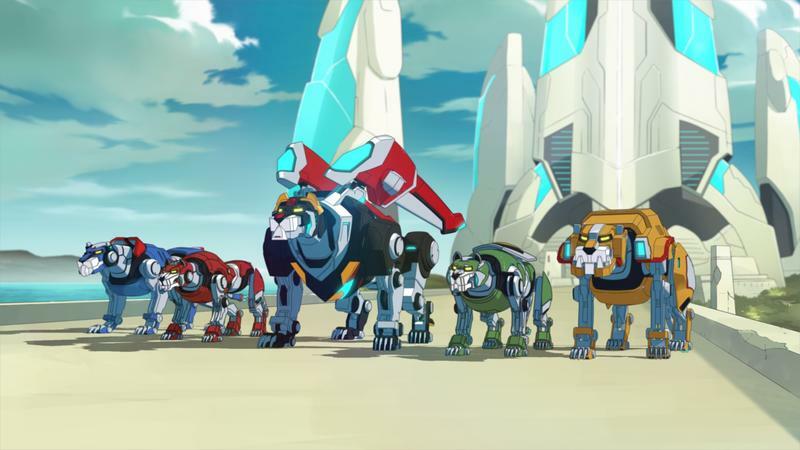 Despite all this, Voltron: Defender of the Universe made a huge mark on American culture. If you go back and watch the original, the flaws are less like cracks and more like gaping chasms. Characters change outfits from one scene to the next. Edits to hide violence are sometimes incredibly obvious. Everywhere there's seams from the stitching the team had to do to bring it out over here. 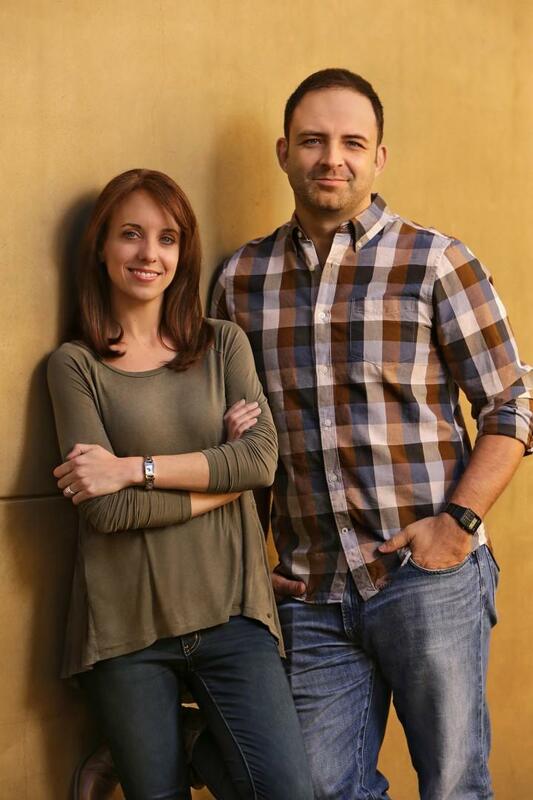 "We did a bunch of research up front," explained Joaquim Dos Santos, executive producer on Voltron Legendary Defender, in a phone interview with him and his co-executive producer Lauren Montgomery, both industry veterans fresh off the Airbender shows and with multiple DC Comics titles under their belts. "We were obviously fans of the original show, so we grew up with that weird amalgamated thing that sort of still rested in the back of our brains since we were children." Rather than trying to remake the show shot for shot, to try to make that stitched-up mess work, Dos Santos and Montgomery decided to make the show we remembered instead of remaking the show that existed. "I think more than deciding what elements we were going to pluck from it was more like, 'how do we recapture that weird show that played by zero rules, that went in any direction it wanted to?' The stuff that didn't necessarily make sense [in Voltron], that's when we'd refer to GoLion," Dos Santos said. "We didn't necessarily cherry-pick exact things," added Montgomery. "We cherry-picked essence. The fun, the love, the heart of Voltron. There was this essence of drama and stakes in [ Beast King GoLion], so it was a matter of watching these things and using your gut." "There's a ton of stuff I kind of remember feeling or seeing, drama that was there," said Dos Santos. "But when we went back and watched it, it just wasn't there! It was a matter of doing honor to the nostalgia for those moments that might not have actually been there, but you were tricking your mind into feeling when you were a kid." One of the core elements across all the different version of Voltron is teamwork. For many, Voltron is teamwork. But we're in a time where people expect a bit more from their animation than just the basic thematic framework that shows used to provide. 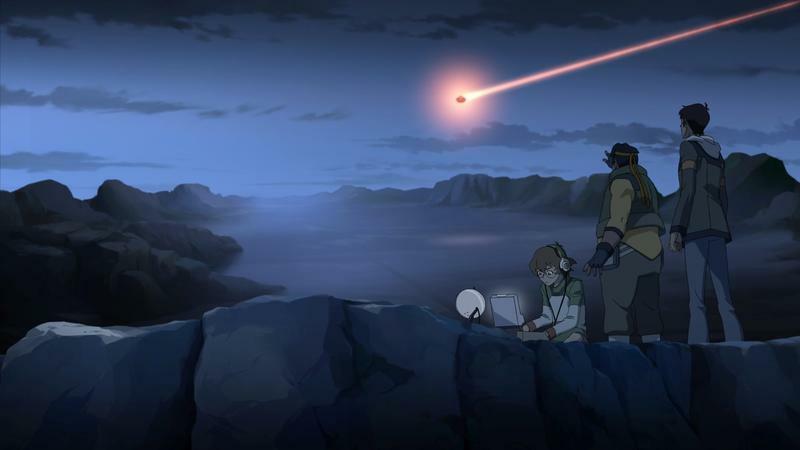 Dos Santos and Montgomery are both fresh off work on Legend of Korra and, before that, Avatar: The Last Airbender. While Korra leaned a bit harder on serious elements than Avatar, both shows went deeper into their characters than most Western animation tends to. In this way, Voltron Legendary Defender is not that different from Montgomery and Dos Santos' previous work. "We wanted to give it more complexity, so we added more depth to each one of the characters. They don't all work well with each other right off the bat. They have to evolve their teamwork," Dos Santos said. "We have characters that might not all work well together, might not have the same motivations," Montgomery explained. "But when you're all working together as Voltron, you need to come together and be cohesive." A lot of the arcs in this first series – they called it first, but weren't able to elaborate on whether that means they're looking to make or will be able to make more – revolve around what drives each character and how they grow. 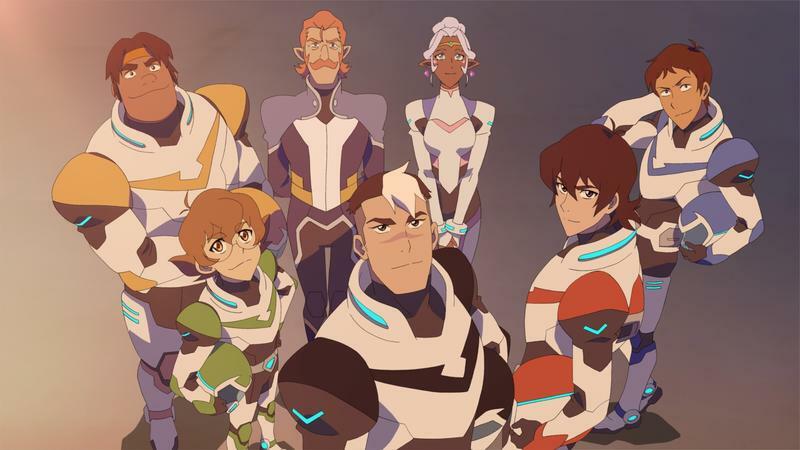 Nostalgia is one of the primary power sources behind Voltron's continued popularity, and while the team behind the new series is banking on that, at least in part, to pull in new viewers, they're not interested in just slavishly recreating the parts of the show that have become memes on their own. "We peppered little easter eggs throughout this thing, so I think for fans of the original there's going to be a ton of stuff to adhere to, but as far as the main transformation sequence being in every episode, that's not in there," Dos Santos said. "We wanted this to be a new take on the original show, and some of that stuff is a product of its time, it sounded super awesome at the time." Dos Santos says there are tons of things for fans of the original to look out for, though. The other part of the equation was getting the characters right. That this is a new take on the property, with an all-new cast and new animation, gave the team a lot of room to get things just right for both fans of the show and for the story they're trying to tell. While the original Voltron was a dub of a Japanese anime, Voltron Legendary Defender is an original Western animation production. Characters are being animated to the voice acting, instead of the voice actors having to sync up with the character while speaking translated dialogue. Much of the goofiness inherent to anime dubs comes from that production style. One benefit of animating everything fresh was that the characters were somewhat fluid throughout production, with room for both the writers and actors to tweak the characters. "We started writing the characters in a certain way," Montgomery said, "and once we got the cast in there and started hearing them delivering these lines, the writers started writing more… in those characters' voices. We have such a strong cast of actors on this show, and a lot of them bring their own personality to the lines." As the actors established their characters' voices, Montgomery said, the characters began to seem that much more real. This is especially apparent in characters like Lance, the blue pilot, and the royal advisor Coran. Lance is voiced this time around by Jeremy Shada, whom you might know as Finn the Human from the massively popular Adventure Time. Shada comes at the show from an interesting perspective. 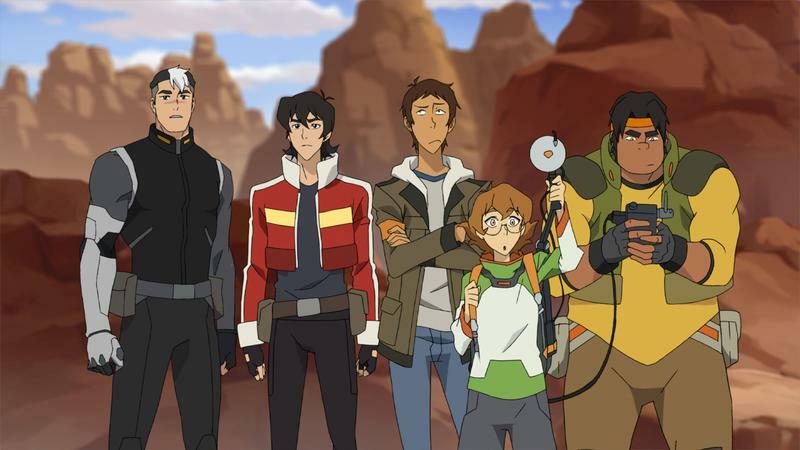 At 19, Shada's been in animation for seven years, and Voltron has always kind of lingered at the edge of vision. "Everyone kind of knows about Voltron, or has heard of it at the very least," he told me. "It's a big part of the zeitgeist, for animation and especially shows from the 80s." Shada hadn't seen the show before going into it, so the nostalgia behind the show simply isn't there for him. He had to sit down and watch some of the show to get a hold on what made Lance tick without watching so much that he started to see the original performance instead of his own take. "When we first started the show, [Romano] really wanted to make sure that everybody kind of knew each other, had this chemistry," Shada said. "For the first few recordings, we had everybody there, pretty much, which was great. You really get to know the cast, we built up chemistry, became friends with the crew." During his audition and throughout the show, Shada treated Lance as if the character had grown up watching Captain Kirk, with the character "acting like he's in control, overconfident… he's this wannabe ladies' man, he's hitting on people and usually gets the door shut in his face, because, you know, people see right through that. It's been fun to put on that kind of Captain Kirk-ish suaveness." Dos Santos and Montgomery both had tons of glowing stuff to say about the cast, but no character diverges from their original incarnation perhaps more than Coran. The character in the original was a stuffy worry-wort, a royal advisor to Princess Allura there primarily to move the story forward. Now, he's played by Rhys Darby, a New Zealand-born comedian, best known for his work in things like Flight of the Conchords and What We Do in the Shadows. Darby's voice means that just Coran's presence on-screen is going to be a totally different one, even when he's not speaking – "you can't just be a royal advisor guy when you're voiced by Rhys Darby," Dos Santos said. 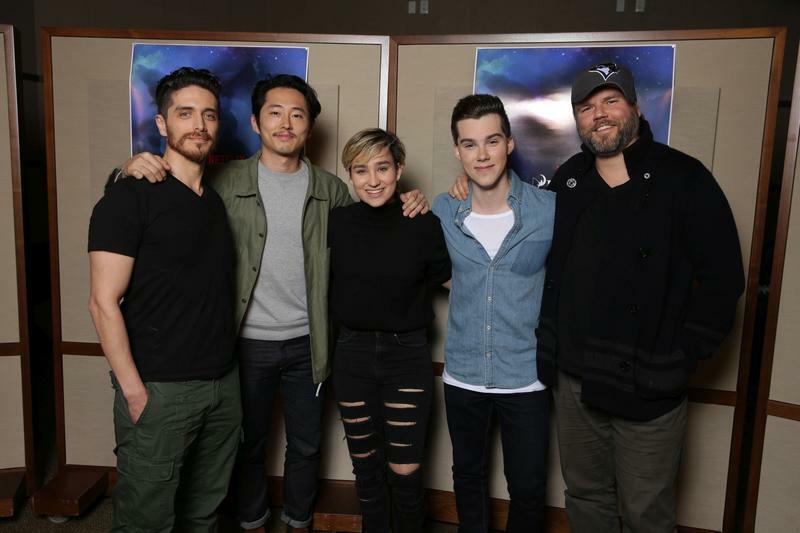 "A character like Coran – you know, honestly, all the characters we can't imagine voiced by anyone else – we're so fond of the way Coran turned out," Dos Santos said. "Coran from the original series, he's been replaced by Rhys as far as I'm concerned, that's how much of an influence he's had with us here on the crew, and for me personally, just having heard is crazy take on this character." 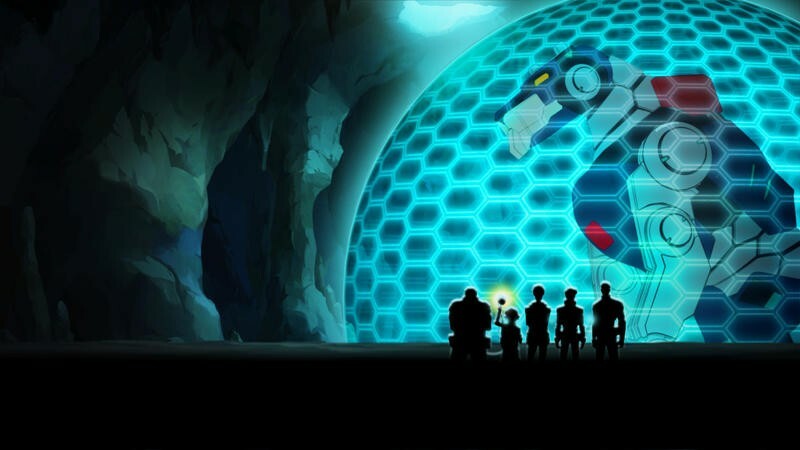 Much like the five mini-lion bots come together to form one super-bot, Dos Santos and Montgomery are bringing together equal parts nostalgia, fresh talent, comedy, drama, and a keen eye for story to make Voltron new again. If the original Voltron was a mutant, so is this new Voltron. The difference is this time it's on purpose. Look for our sneak peek of the show's hour-long first episode next Monday, June 6!